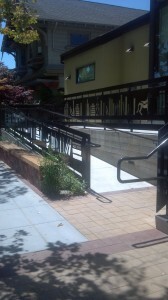 On May 5, The Claremont Library opened after being closed for a year due to remodeling. The library mirrors the community of Elmwood. The setting of Elmwood, a residential community near a commercial area, lends itself to visitors, senior citizens and families becoming the main patrons of the library. 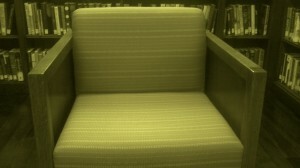 Inside the library, the adult/teen section is placed in a setting similar to historical Elmwood, whereas the children’s section is more contemporary. The fireplaces, restored and working, will warm up the library during the winter season. “It’s an extension of [residents'] homes,” Supervising Librarian Karen Joseph-Smith said. The setting is smaller, which provides a homey and intimate feel, so the library doesn’t house a variety of books. It has a large travel, historical, biographical and literary fiction collection. Readers won’t find exam prep books, self-help books or any comprehensive book on research. The library is a place to read for recreation. Even though we mainly associate libraries with studying before the midterm or a study setting, it’s still important to use it to relax with a novel that suits your interests. Because of the new setting and atmosphere, the library will introduce new programs this year based on visitor interest. “So much changes in a year that we need to constantly consider what our audience wants in our programs,” Smith said. The library will offer laptops and is considering a Jane Austen “tea party” as a fall program for adults. Even if a library means simply doing work, The Claremont Library keeps the essence of Elmwood and leisurely reading alive. You can find hours and event information here. This is a message to the admin. I came to your “The Daily Clog » Clog Community Close-ups: The Claremont Library” page via Google but it was difficult to find as you were not on the first page of search results. I see you could have more traffic because there are not many comments on your website yet. I have found a website which offers to dramatically increase your rankings and traffic to your website: http://aerotraffic.com/web-traffic/. I managed to get close to 1000 visitors/day using their services, you could also get lot more targeted visitors than you have now. I used their services and got significantly more traffic to my site. Hope this helps Take care.